Fans of the Atlanta Falcons and Matt Ryan’s fantasy football owners had high hopes going into Sunday Night Football’s Super Bowl rematch. They had undoubtedly heard about the Patriots defense and how it had given up 300+ yards passing to everyone they had played so far—even the Jets! Surely, the reigning MVP could throw for 300+ against a defense that gives up 300+ to Josh McCown and the Jets! Instead, Ryan struggled once again to get the offense on track completing 23 of 33 passes for 233 yards and a touchdown, much of that coming in garbage time. Devonta Freeman and Tevin Coleman didn’t pick up the slack in the running game combining for just 88 yards. The once-proud offense that led the NFL in scoring last season (33.8 points/game) has become borderline inept (24.2 points/game). There are 20 teams that would love to average 24.2 points/game. But we are talking about almost a 10-point reduction from last season. In case you are wondering, that’s a lot. It can’t be blamed on new personnel since the offensive personnel is largely unchanged from last season. The offensive struggles for the Falcons fall on the team’s new coordinator, Steve Sarkisian. His supporters will point the finger at the players. They’ll point out how players can regress and don’t play as well after a stellar season. They’ll say the defenses are tougher than who the Falcons faced last year. But Sunday night they were playing the worst defense in the NFL and could only muster seven points and 343 total yards of offense. His choice of plays on fourth and goal from the one just goes to show how out of his element Sarkisian is. While the Patriots defense has been poor all season, they are still an incredibly athletic and quick group. Rather than take his running back who had signed a five-year, $41.25 million deal a couple of months ago and run him up the gut, he sends a wide receiver on a sweep. The play never had a chance. According to reports, Sarkisian called plays from the booth. 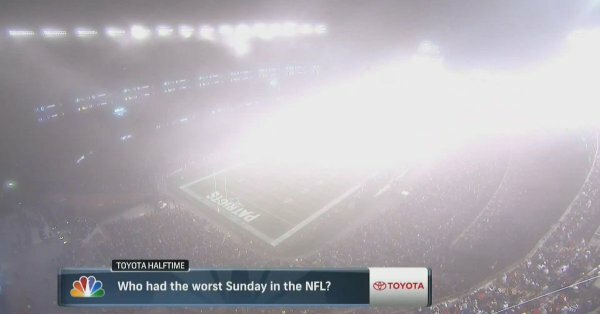 But with the fog that hung over the stadium for most of the game, his view was obstructed. With how he called the game, it’s not hard to wonder if he moved or stayed put. To be fair, the Falcons didn’t lose just because of Sarkisian. Tom Brady did what he needed to do. His numbers were not as gaudy as they were in the Super Bowl. 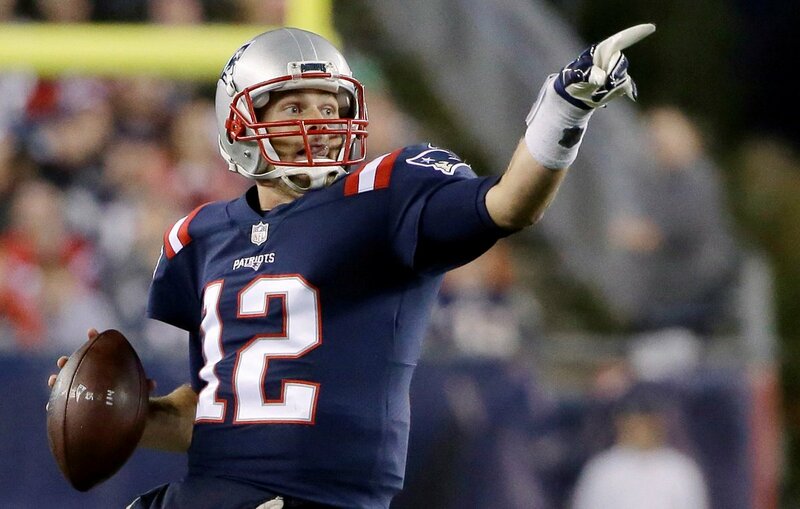 But he did what was needed (21-29 for 249 yards and two touchdowns). His running backs helped bleed the clock by running for 162 yards. Dion Lewis led the group with 76 yards, and Brady chipped in five. New England’s defense didn’t do much (one sack, three QB hits, and four passes deflected), but with Atlanta’s offense, they didn’t need to. After winning three in a row to start the season, the Falcons have now lost three in a row. Next week Atlanta travels to New York to face the surprising Jets. The Patriots will try to keep it going next week when the Chargers come to town.